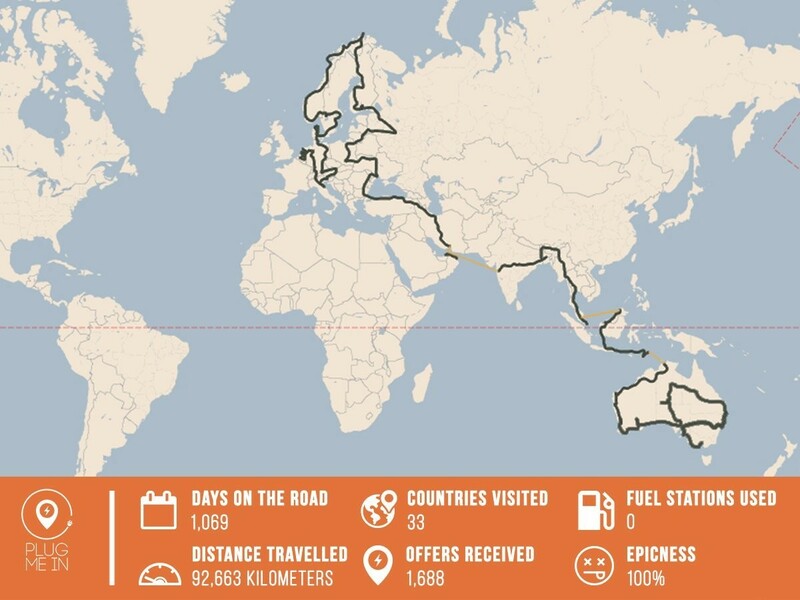 Charged up ... it took Wiebe Wakker three years to drive across 31 countries in an electric car. How far could you drive without gas? That’s the question answered by a 32-year-old Dutchman who drove from his home nation to Australia in an electric car. Wakker left the Netherlands in his car, Blue Bandit, with no money, relying instead on people he met for food, shelter and electricity for his car. His quest - Plug Me In - captured the imagination of people around the world and has become a prominent platform for sustainability and electric cars. Policy-makers around the world are pushing for the widespread adoption of electric vehicles, amid concerns about climate change and the health effects of air pollution. It’s a theme explored by the World Economic Forum’s Electric Vehicles for Smarter Cities report, which looks at the environmental and economic benefits and recommends some policy options. Wakker’s quest may also help to address some of the barriers to EV ownership by showcasing the advantages and capabilities of the technology. Even as electric cars become more affordable, the Forum’s report says concerns about battery life and the availability of chargers are still widespread. Wakker’s project has gone beyond promoting electric vehicles. He’s attended talks and been invited to see and promote other renewable energy projects, as well as uniting the people who supported him and generating a buzz online. Many were captivated by his adventure, which included attending open air cinema screenings and a champagne and caviar workshop.